This is an informative publication, sponsored by The Fiji Sun, Fiji Bureau of Statistics and HFC Bank. 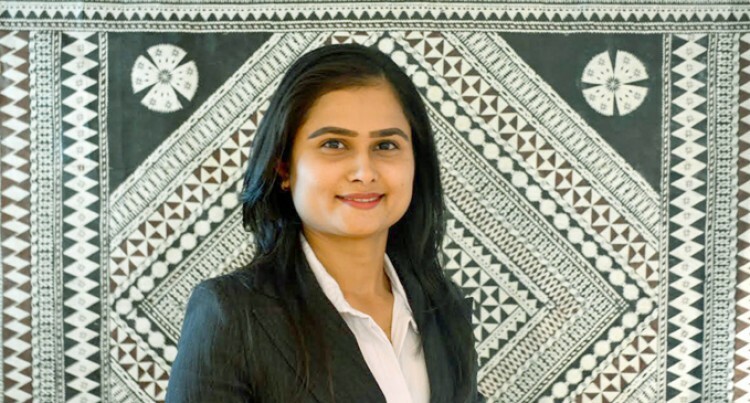 All views expressed or implied are purely of the Manager Balance Sheet & Market Risk at the HFC Bank, Shoran Devi. International economic performance especially that of our larger counterparts, have over the weeks gained a lot of attention from analysts the world-over. In Forex market, the economic performance together with the geopolitical events are very carefully observed to extrapolate the trading pattern of that country’s currency. News and information regarding a country’s economy can have a direct impact on the direction that the country’s currency is heading. When one talks about international economies, generally he or she is referring to the performance of ranging economic indicators. Leading indicators such as inflation, gross domestic products, trade flows, investments, government debt levels and the like are often referred to determine the general state of an economy. Of all the indicators, the Gross Domestic Product is often cited to provide one of the best general overview of an economy. In that regard, let us have a look at the latest developments and trajectories of our trading partner economies. The World Bank expects a slowdown this year in a majority of advanced economies and in about a third of emerging market and developing economies. In all, global growth is predicted to moderate from 3.0 in 2018 to 2.9 per cent in 2019 and an average of 2.8 per cent in 2020 to 2021, below previous forecasts. Similarly, the International Monetary Fund (IMF) in its January, 2019 World Economic Outlook (WEO) revised its global growth projection downwards to 3.5 per cent in 2019 and 3.6 per cent in 2020, 0.2 and 0.1 percentage point below last October’s projections. According to IMF, the global growth in 2018 is estimated to be 3.7 per cent, but signs of a slowdown in the second half of 2018 have led to downward revisions for several economies. The further downward revision since October in part reflects carry over from softer momentum in the second half of 2018—including in Germany following the introduction of new automobile fuel emission standards and in Italy where concerns about sovereign and financial risks have weighed on domestic demand—but also weakening financial market sentiment as well as a contraction in Turkey now projected to be deeper than anticipated. Specifically, growth in advanced economies is projected to slow from an estimated 2.3 per cent in 2018 to 2.0 per cent in 2019 and 1.7 per cent in 2020. This estimated growth rate for 2018 and the projection for 2019 are 0.1 percentage point lower than in the October, 2018 WEO, mostly due to downward revisions for the euro area. As per the WEO, the growth forecast for the United States remains unchanged. Growth is expected to decline to 2.5 per cent in 2019 and soften further to 1.8 per cent in 2020 with the unwinding of fiscal stimulus and as the federal funds rate temporarily overshoots the neutral rate of interest. Nevertheless, the projected pace of expansion is above the US economy’s estimated potential growth rate in both years. Strong domestic demand growth will support rising imports and contribute to a widening of the US current account deficit. Likewise, the IMF forecast Japan’s economy to grow by 1.1 per cent in 2019 (0.2 percentage point higher than in the October WEO). This revision mainly reflects additional fiscal support to the economy this year, including measures to mitigate the effects of the planned consumption tax rate increase in October 2019. Growth is projected to moderate to 0.5 per cent in 2020 (0.2 percentage point higher than in the October 2018 WEO) following the implementation of the mitigating measures. Meanwhile, China, the world’s second-biggest economy, is said to have slowed to its weakest pace since 1990 noting a growth rate of 6.6 per cent in 2018. Demand for Chinese exports weakened last year and the IMF forecasts China’s growth to continue to fall to 6.2 per cent for 2019 and 2020. Figures show growth in China remains robust, in part reflecting resilient consumption. However, industrial production and new export orders have moderated, asset prices have experienced downward pressure, and sovereign bond spreads have risen amid trade tensions. Growth in the Euro Area is set to moderate from 1.8 per cent in 2018 to 1.6 per cent in 2019 (0.3 lower than projected last fall) and 1.7 per cent in 2020. Growth rates have been marked down for many economies, notably Germany, Italy and France. There is substantial uncertainty around the baseline projection of about 1.5 per cent growth in the United Kingdom in 2019-2020. The unchanged projection relative to the October, 2018 WEO reflects the offsetting negative effect of prolonged uncertainty about the Brexit outcome and the positive impact from fiscal stimulus announced in the 2019 budget. This baseline projection assumes that a Brexit deal is reached in 2019 and that the UK transitions gradually to the new regime. However, as of mid-January, the shape that Brexit will ultimately take remains highly uncertain. In a separate report, the Organisation for Economic Co-operation and Development estimates growth to continue for the Australian economy albeit at a slower pace than earlier forecast. Australia’s economy appears to be slowing much more rapidly than expected, after a spurt of growth in the first half of the year. Australia’s GDP growth is projected to slow to 2.5 per cent in 2019 from three per cent in 2017 on the back of a continued slowdown in Chinese growth which will impact demand for Australia’s mining exports. About 30 per cent of Australia’s exports are shipped to China, including billions of dollars’ worth of iron ore, coal and liquefied natural gas. For New Zealand, economic growth is projected to edge down to 2.6 per cent by 2020, mainly reflecting slowing private consumption as the boost from increased financial support for families’ passes, net immigration diminishes and housing wealth gains subside. Export growth is set to decline while inflation is projected to increase to slightly over two per cent in 2019 and 2020, buoyed by higher import prices and domestic wage growth. The latest national accounts data revealed that economic activity expanded at the slowest pace in nearly five years on a quarter-on-quarter basis in the third quarter of 2018, dragged by weaker domestic demand and a downbeat external sector. Our domestic economy however, is set to achieve another year of positive growth as the economy is estimated to have expanded by 3.2 per cent in 2018. Primary production was upbeat as major industries such as cane, mahogany, pine and woodchips noted significant annual gains. Industrial production noted a turnaround in the third quarter of 2018 and expanded by 14.5 per cent while the tourism industry noted a new record year. Aggregate demand continues to expand and partial indicators reveal upbeat consumption and investment spending in 2018, supported by accommodative monetary and fiscal policies. For 2019, our economy is expected to grow by 3.4 per cent. In 2020 and 2021, the economy is expected to expand by 3.3 per cent, with major contributions expected from the wholesale and retail, construction, manufacturing and the financial and insurance sectors. For Fiji, understanding the economic development of our trade partner countries are much more imperative given the direct relation our Fijian Dollar has with our trade partner currencies. Our Fijian dollar (FJD) is pegged to a trade weighted basket of currencies comprising the Australian dollar (AUD), New Zealand dollar (NZD), United States dollar (USD), Japanese Yen (JPY) and Euro (EUR). As such, the economic performance of our trade partner countries has a good degree of correlation with the change in value of our Fijian Dollar and being an export dependent nation, the ultimate strength of our Fijian dollar therefore, determines our international competitiveness.